Millennium Partners&apos; proposal for the site of the Winthrop Square Garage. In the contest for one of the most prized building sites in Boston, city officials chose an increasingly familiar name that offered to write a very large check. 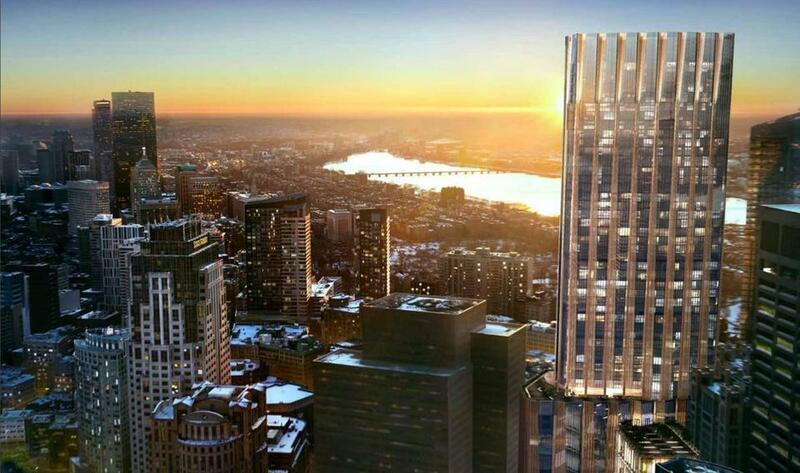 The Boston Redevelopment Authority said Wednesday that it will start negotiating with Millennium Partners — builders of the just finished Millennium Tower in Downtown Crossing — for the right to put one of Boston’s tallest buildings on the site of the defunct Winthrop Square Garage on Devonshire Street. The New York company was one of six major builders vying for the city-owned site and offered to pay $151 million — far more than any of its competitors — while pointing to its track record of building high-profile downtown buildings. 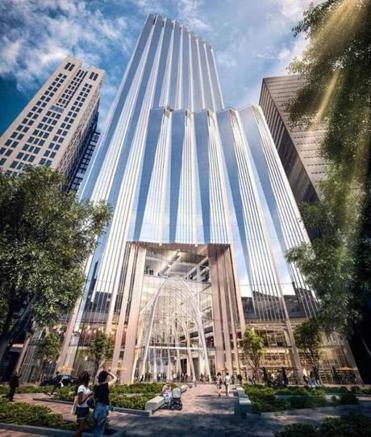 That combination persuaded a committee of BRA and other city staffers to choose Millennium’s proposal for a 55-story tower with condominiums, office space, and a three-story “great hall” at street level. The two sides still must hammer out financial and technical details, with Millennium hoping to start construction, estimated to cost $1 billion, as soon as next summer. Officials have picked Millennium Partners to build a 55-story tower on the site of a squat city-owned garage on Devonshire Street. The contest drew proposals from a range of high-profile developers who enlisted renowned architects and pitched modern office and condo towers packed with various civic amenities. But Millennium was a logical choice, said George Thrush, an architecture professor at Northeastern University. Indeed, the next-highest offer was $75 million in cash from two other development teams; a third also offered to build a school for the city, valued at about $32 million. The $151 million from Millennium is far more than BRA appraisals have suggested the site is worth. Millennium is flush from the sales of more than 400 condominiums at the nearby Millennium Tower, which opened in July. That $700 million project helped give Millennium the confidence to bid high, said Joe Larkin, a principal at the firm. The building would include a startup accelerator, and Millennium said it would partner with a nonprofit housing developer to finance $25 million in affordable housing in nearby Chinatown. 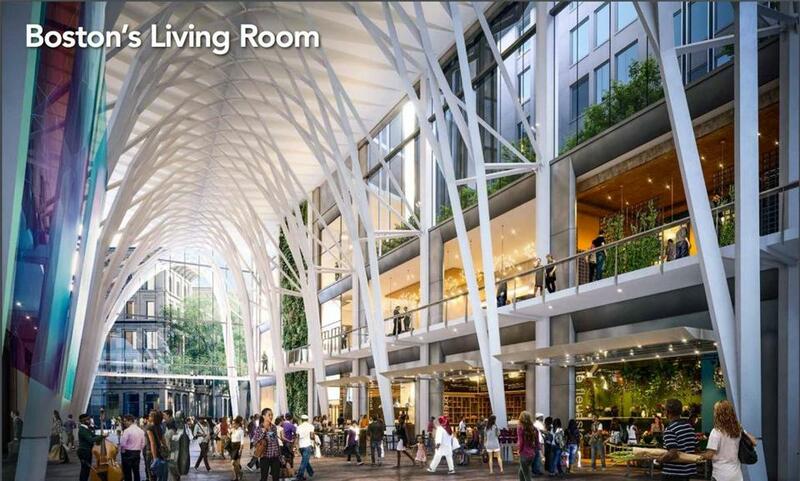 This is the sort of mixed-use project the BRA says it wants in Winthrop Square, from an experienced developer that Golden said has proven ability to execute complex projects across the country. The BRA’s request for proposals had sought an observation deck, but Millennium did not include one, offering the great hall instead. That could potentially trigger protests from other bidders. 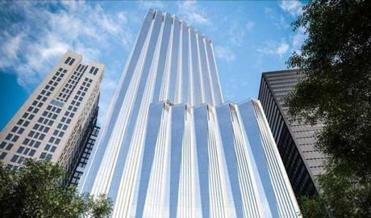 And at 750 feet, Millennium’s tower would be 25 feet higher than Federal Aviation Administration height guidelines in the area that exist because of flight paths into Logan International Airport. Larkin said Millennium would adhere to whatever height the FAA requires. Earlier this week, the San Francisco Chronicle reported that a condo tower Millennium built in that city is sinking and tilting, though there have been no indications of similar issues at its buildings here. If any of those issues, or others, derail Millennium’s bid, the BRA would have the right to turn to one of the other five competitors, Golden said. They include entrepreneur Steve Belkin, who first won development rights for the site a decade ago under then-mayor Thomas M. Menino and proposed a pair of large towers, and former BRA chief Tom O’Brien, who joined with St. Anthony Shrine on a plan that would have put an office tower on Arch Street and a new church and school on the Winthrop Square lot. Trinity Financial pitched a tower with 40 percent of its housing set aside at affordable prices, while Lendlease and Hudson Group proposed developments that included partnerships with community groups. Another bidder, Accordia Partners, proposed a slim tower that won raves from local architects. Meanwhile, the city is awaiting a ruling by Attorney General Maura Healey on a complaint filed by longtime BRA critic Shirley Kressel, who says the Boston City Council violated state open meeting laws when it voted to transfer the garage to the BRA. The city can’t officially transfer the site to a developer until that matter is resolved, which could include another vote by the council, but the BRA decided it should start negotiating while it awaits a resolution. 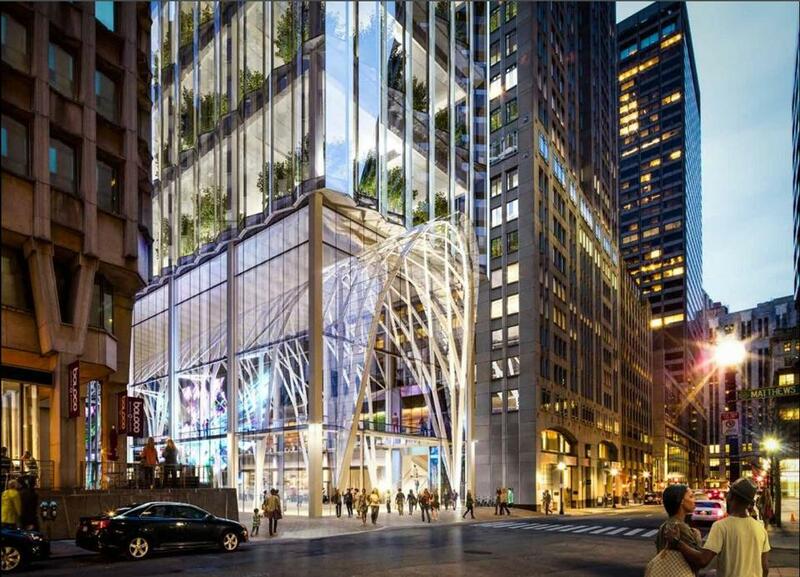 Millennium Partners' proposal for the site of the Winthrop Square Garage. A wide view of the site. A look at the interior. at tim.logan@globe.com. Follow him on Twitter at @bytimlogan.